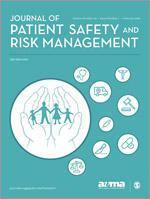 AvMA is pleased to be a partner of SAGE in publishing the Journal of Patient Safety and Risk Management (formerly Clinical Risk) – the leading journal focused on patient safety, risk management and medico-legal issues. Essential reading for clinical negligence lawyers, health professionals and managers working in the field of patient safety, the journal is available at a discounted rate for anyone who is affiliated to AvMA (including any members of our lawyers service or medical experts on our database, or registered ‘friends of AvMA’). If you are interested in submitting content to the journal including research based articles, medical and or legal commentaries or medico-legal case reports, you will find details of the criteria for inclusion and the submission process here. If you would like further information regarding the type of articles that would be suitable for inclusion or the submission process more generally, please contact us.